At Jacksonville Complete Dentistry, we enjoy helping our patients improve their smiles in fast and efficient ways. That’s why we use Zoom WhiteSpeed, which is the only teeth whitening system available today that has a “variable intensity setting.” This means that every whitening procedure can be personalized to maximize the patient’s comfort and satisfaction. To schedule your first appointment here in Jacksonville, please give us a call today. 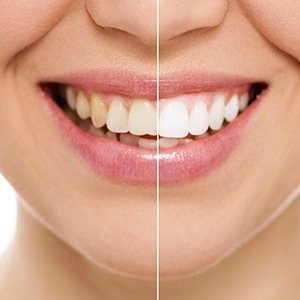 Why Choose Jacksonville Complete Dentistry for ZOOM!® Teeth Whitening? Dental stains are likely to happen to most patients over the course of their lives. They can be caused by a variety of sources, including certain food and drink items (certain fruits, coffee, wine, etc) and even old age. 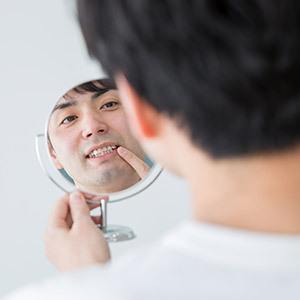 Thankfully, today’s modern whitening solutions are designed to dramatically improve appearances without negatively influencing the overall structure of your natural teeth. Every teeth whitening system has its own unique benefits, but some are capable of being more effective because of the way they deliver teeth directly to the tooth enamel. The concentration of this material matters as well, which is why patients usually can’t achieve the results they’re hoping for with simple products from their local pharmacy. At Jacksonville Complete Dentistry, patients can choose from take-home whitening and Zoom WhiteSpeed in-office whitening. First, our team will capture a precise dental impression of your smile and use it to create a customized oral tray. Then, we’ll provide you with the tray itself, professional strength whitening gel, and instructions on how to use it. Generally, patients will need to wear the tray and gel for a few hours each day until they’ve achieved the dazzling results they want. It’s likely that they will experience some oral sensitivity throughout their whitening experience. 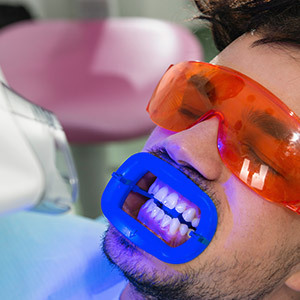 At Jacksonville Complete Dentistry, our dentists prefer in-office whitening for fast, dramatic results that give patients new reasons to smile. Our goal is to improve your tooth enamel by several shades over the course of a single appointment, and Zoom WhiteSpeed can accomplish that in a safe and lightning-fast fashion. Please let us know if you’re interested and we’ll be happy to provide you with some more detailed information about which whitening method is best-suited for your unique smile.